Whatever else you may think of her, first-time Congresswoman Alexandria Ocasio-Cortez is a great American success story. Hers is a classic “triumph of the underdog” tale. Nobody expected her to upset 10-term incumbent Congressman and Chair of the House Democratic Caucus, Joe Crowley, in last June’s Democratic primary in her New York City congressional district, but she did. Using her apartment as her campaign headquarters and going door to door in her district, Ocasio-Cortez proved once again that a motivated, hard-working American can succeed against long odds. Conservatives seem to think Ocasio-Cortez will self-destruct by repeatedly showing her economic obtuseness, but they are wrong. They are underestimating her ability to exploit media and her political acumen. Last summer after her primary victory, Ocasio-Cortez was a guest on “The View.” Channeling King David’s son Absalom — the prototype for using flattery and charm to further one’s political ambitions — she effusively hugged each of the five hostesses, gushing and giving them her best “Oh, I’m so privileged to meet you” greeting. Like it or not, Ocasio-Cortez, by virtue of her two-million-plus Twitter followers and as the fresh new face alongside Bernie Sanders at the forefront of America’s democratic socialist movement, has established herself as a force to be reckoned with on the national stage. Her fundraising clout is bound to be considerable. This will enable her to chart an independent course, much to the frustration of Speaker of the House Nancy Pelosi. Expect Ocasio-Cortez to drag Democrats even further to the left whether they really want to go that way or not. Sadly, wisdom and knowledge are not nearly as important in democratic politics as impassioned promises for a Santa Claus government to give voters free goods. Voters believe in the Santa Claus fantasy, and Ocasio-Cortez is playing Santa to the hilt, promising free health care, free college, etc. Another factor enhancing Ocasio-Cortez’s popularity is her public stance that she would rather lose her seat in Congress than compromise her principles. In this day and age when few politicians are known for sticking to their principles, Ocasio-Cortez stands out from the crowd. She may know precious little about sound economics, but she has a keen nose for power. That is why she advocates the abolition of the Electoral College — because it is an obstacle to the mighty (and mighty dangerous) power of unbridled majoritarianism which our wise founders rightly understood to be one of the greatest threats to rights and liberty. The important question going forward will not be the mind of Ocasio-Cortez, but what kind of heart she has. Like most prominent leaders of socialist movements, she has a knack for taking care of Number One. I am referring to her reported unwillingness to divide the wealth equally when her own financial interest is involved. A larger concern is her refusal, so far, to condemn the murderous regime (murder by bullets and starvation) of Venezuela’s socialist president, Nicolas Maduro. This raises the question of whether her support for socialism is that of a naive enthusiast or a convicted fanatic. 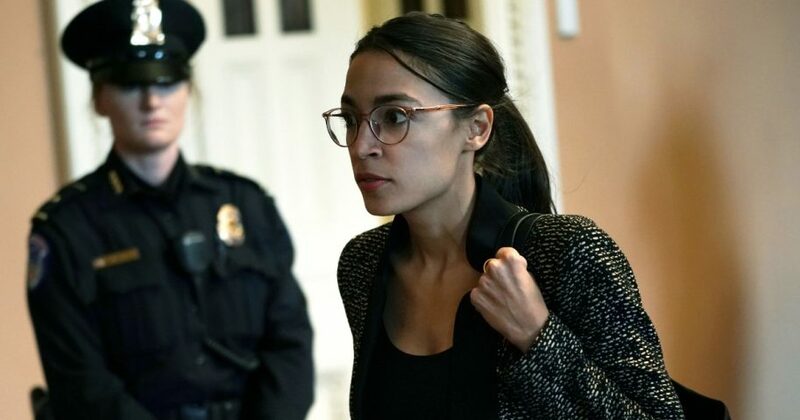 Let’s hope that her mind isn’t so blinded by the imagined glory of her “grand plan” for a more humane world that she lacks the compassion to disavow socialist policies when they hurt the very people whom they were supposed to help.